I’ll cop to the occasional Netflix binge-fest. When my back was out of whack last winter, I barely ate, bathed or drank — not because I was in so much pain, but because I didn’t want to stop my episodes of Dexter long enough to do any of said activities. And I read. A lot. But usually I don’t find myself re-reading, or binge reading one author all the time. I flit from book to book, savoring my favorites in between not-so-greats. That changed late last December. A few days before Christmas, I was surprised to see an Amazon box outside the front door. I got my money’s worth out of AmazonPrime over the holidays, don’t get me wrong. But all of the presents I had ordered were already opened and accounted for. I asked my husband if he had ordered anything and he said, “No”. The package was addressed to me, so I opened it. And, inside, much to my surprise, I saw Adam Sisman’s biography of John le Carre. “What a great present for myself,” I thought. “I don’t even remember ordering it!” Again, I asked said husband who denied knowledge or culpability of the book. My son, a university student, couldn’t possibly have: (a) completed an Amazon order with proper payment and address information, (b) figured out what someone other than he, himself wanted for a present, or (c ) cared what someone other than he, himself wanted for a present. So, he was right out. That left my own addled memory of whether I had self-gifted it to myself (a strong contender) and my sixteen year-old daughter. I went with her. Later, I asked my mother who confirmed that, yes, they had come up with the idea during a shopping trip to Barnes & Noble and she had ordered the book as a Christmas present. I’m not quite sure how they came up with the idea at Barnes & Noble if they hadn’t, in fact, seen the book — which begs the question of why they didn’t buy the book in the store — but I digress. I didn’t let on to my daughter that I had seen the book and squealed with delight when I opened it on Christmas morning. And, she never reads this blog, so I know she won’t figure out that I knew ahead of time. I spent the next couple of days immersed in the life of David Cornwell, aka John le Carre. Sisman’s biography rivals one of my favorites of all time — Simon Sebag Montefiorre’s biography of Stalin, Court of the Red Tsar. 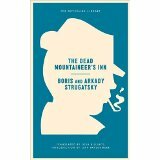 It is direct, detailed, honest, and paints the picture of a brilliant, flawed writer and citizen. 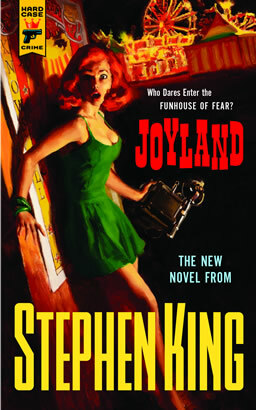 After devouring the highs and lows of Cornwell’s life, I was gob-smacked by how autobiographical many of his books are. I’ve been a long reader and lover of le Carre, and after learning about Cornwell’s relationship with his father, his limited time in the British secret service and his international travels, I was anxious to re-read his books. And since late December, I’ve done little else. I’ve sort of fallen in love with George Smiley all over again, nodded to myself at Cornwell’s inside jokes and jabs, and appreciated the context in which each of his novels was written. 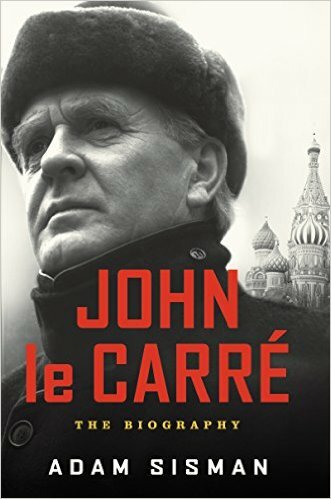 Certainly, The Spy Who Came In From The Cold was what “started it all” for him and, if you haven’t read any le Carre, this book would be a great place to start. 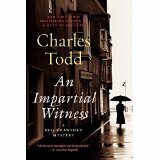 It is a deftly woven tale, with more “mystery” than many of his thrillers. 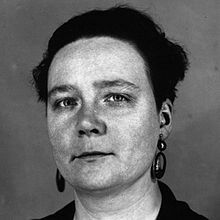 Leamus took on a new identity for me — part Cornwell, himself; part general malaise; part the insanity of the divided Berlin and Germany that faced the world at the time of writing. 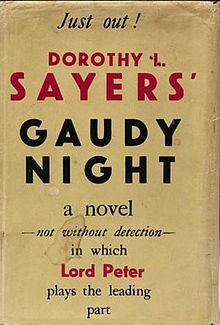 George Smiley makes a tiny appearance, but really I had to go back to Cornwell’s earlier “murder mystery” to re-introduce myself to Smiley. In A Murder of Quality, le Carre takes the reader to a British public school (what most of us would know as a prep school or boarding school) where a master’s wife has been killed and Smiley is brought into the scene by a former war-time colleague (the female editor of a Christian periodical who had a letter from the woman predicting her demise). George also worked closely with the brother of the headmaster, and, thus, had an entree into the school to investigate the woman’s murder. He encounters a soon-to-be-retired police superintendent, Mendel, who reappears in many subsequent Smiley novels. Anyway, as english manor murder mysteries go, A Murder of Quality, is a little too predictable and contrived, but I didn’t — and don’t — care. George Smiley was born and I’d follow that character almost anywhere. 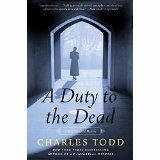 So, I read A Call for the Dead and The Looking Glass War, and detoured to A Perfect Spy (Cornwell’s most autobiographical novel). But then I cleared my schedule for the “Karla” trilogy again — the three books where Smiley matches wits with “Karla” (the Moscow Centre mastermind) either indirectly through Karla’s networks and moles — in Tinker, Tailor, Soldier, Spy and The Honorouable Schoolboy – or, directly, in the last of the trio, Smiley’s People. These three books are sweeping, cold-war epics that feed my should. 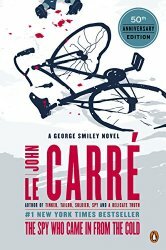 From Smiley’s quiet, melancholic brilliance, to Guillam’s rash but far more grounded actions, I can’t get enough of le Carre’s nuanced characters. I’ve read more than my share of “classic” literature, and le Carre takes a back seat to no one with his character development and plotting. “These people are my friends,” I tell myself. I believe it. In part. I care about them, though, in reality, I know they don’t care about me. But in re-reading le Carre over this past month, it is crystal clear that he cares about me, as a reader. He doesn’t always tie up his mysteries (or thrillers) neatly. I know, for example, no matter how many times I re-read it, The Spy Who Came in from the Cold, won’t end any differently. But that isn’t because le Carre is flippant about his readers. I get the very real sense that he agonizes over every word and scene, to paint a picture for us. To bring us into a world or an issue. To introduce us to a character or a friend. I can’t think of a better way to have spent the last month of my reading time binging le Carre, and I can’t think of better advice for you. And to my daughter and Mr. Cornwell — “thank you”. I doubt either of you will read this, but I’ll put it out there anyway. I found myself with a rare “free” hour the other day so promptly made a beeline to my local bookstore. 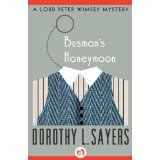 I browsed the new mystery section and selected a stack of books to read this month. I hope to feature them more prominently (once I’ve read them), but thought I’d give you a preview in case you are making your must read lists for the fall. Raymond Drew wanted to die on the towpath. Next, a collection of short stories, Chicago Noir, edited by Joe Meno. Admittedly, I was drawn to this book by the title. I live near Chicago, and have also lived in Chicago. 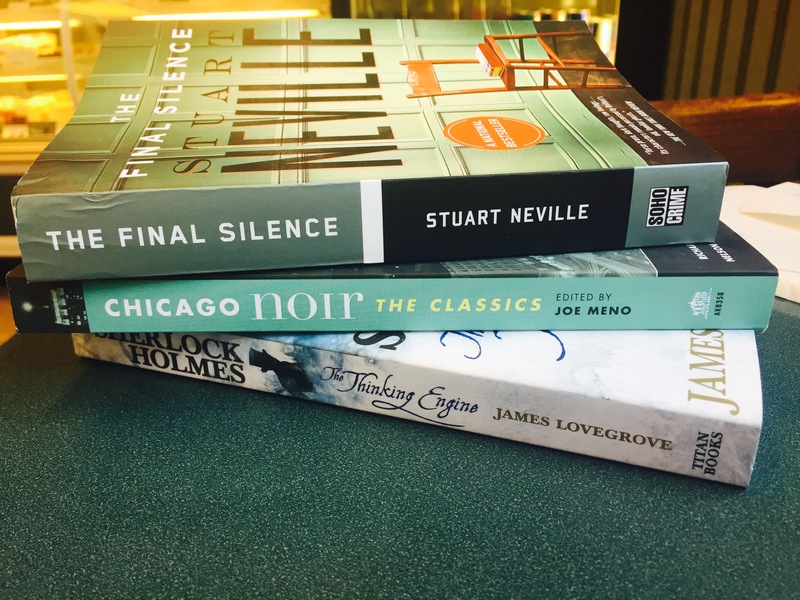 Chicago, is noir — “the language of shadows, of the world in-between.” As Meno reminds the reader in the introduction, in what other city do former mayors/governors routinely go to jail, and do deceased residents not only vote, but vote twice? That’s right — only in Chicago. I have enjoyed other theme-based anthologies in the past, but haven’t yet read one of the “noir” books, so Chicago seems a great place to start. As I flipped through the opening pages of the book, I was shocked to discover how many other cities have already been featured in the “noir” series — including Moscow, Dehli, Manilla and dozens of others. More to come on this one . . . I may actually start with this one. Mummies, Sherlock, museums — Oh my! Whatever your fall stack may look like, I hope you enjoy the shorter, cooler days as you snuggle up with a good book. Happy Reading! 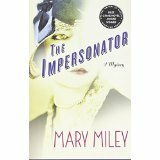 I’ve just finished Mary Miley’s two mysteries and they are an enjoyable, historical era treat. She channels the 1920′s beautifully, allowing the reader to enjoy not only the traditional, mystery escape, but also to fully escape into another era. Miley’s attention to detail (emphasizing clothing, food, transportation and lodging of the 1920′s) is mesmerizing — probably my favorite part of these books. The “mystery” angle is enjoyable as well, but very straightforward without many unexpected twists and turns. Her first novel in the series, The Impersonator, introduces us to her young protagonist, Jessie. Actually, that isn’t really the character’s name, but for the bulk of the novel (and in the second novel) this is the name she uses so I’ll use it also. Jessie has grown up on the vaudeville stage, traveling the Big Time circuit (two performances per day). She is plucky, smart, independent and (mostly) fearless. After her steady gig disbands and she has no luck finding another role in the Big Time — or in the lesser circuits that required five or more performances per day — Jessie reconsiders a “job” offered by a wealthy patron in Omaha. 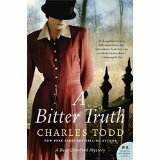 She has to impersonate his missing niece and heiress, Jessie Carr, a girl with whom she shares a remarkable resemblance. Jessie reluctantly takes on the role but when she travels west to Oregon to meet the family she decides that she really is fond of them, well most of them, and doesn’t want to continue to deceive them. When a handful of unsolved murders occur in the small Oregon town, she finds herself knee deep in solving the mystery of the real Jessie’s disappearance. She and her supposed half-brother, David Murray, team up to discover what happened to Jessie and when the resolution is revealed, well, lots of things are turned upside down including Jessie’s not really inappropriate, but definitely awkward relationship with David. 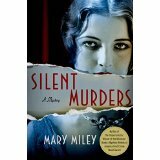 Things wrap up fairly well for Jessie, as we learn when Miley’s second novel, Silent Murders, opens. Jessie has travelled from Oregon to San Francisco and then down to Los Angeles where she ends up working as a “girl Friday” for her idol, Mary Pickford, and her husband, Douglas Fairbanks, at their newly formed studio, United Artists. Jessie wants to break into the new motion picture business but is working as an assistant script girl when she and her roommate (Myrna Loy) are invited to a Hollywood party where the host is murdered. Jessie finds herself in the thick of the investigation, as the prime suspect, when an old vaudeville friend of her mother’s, Esther, is also murdered. Esther had been serving at the party and had invited Jessie over the next day to see some of her mother’s old playbills. Jessie discovers Esther’s body and realizes the two murders are probably linked. When two more people are killed, Jessie tries to connect the dots, working with Douglas Fairbanks and Mary Pickford along the way. The famous characters popping up in Jessie’s life (Myrna Loy is also friends with an up-and-coming young actor, Gary Cooper; Jessie befriends Charlie Chaplin’s young wife, etc.) become almost too distracting. But Miley has deftly woven a fictional murder mystery against a true backdrop — and borrows from or refers to actual murders that took place in Hollywood around this time. It is fun to read about how these actors “started” and the fledgling motion picture business. Jessie again encounters David Murray (know going by the name David Carr) and can’t quite sort out her feelings for him, or for the only honest cop she meets, Carl Delaney. I would have liked those relationships to have played a slightly larger role here (or come to some resolution), but perhaps Miley is just saving these plot lines for book number three in the Jessie series. Jessie’s ability to solve the first set of murders seems a little too pat and easy, but the solution to the second set of murders is more compelling, interesting and, frankly, more believable. 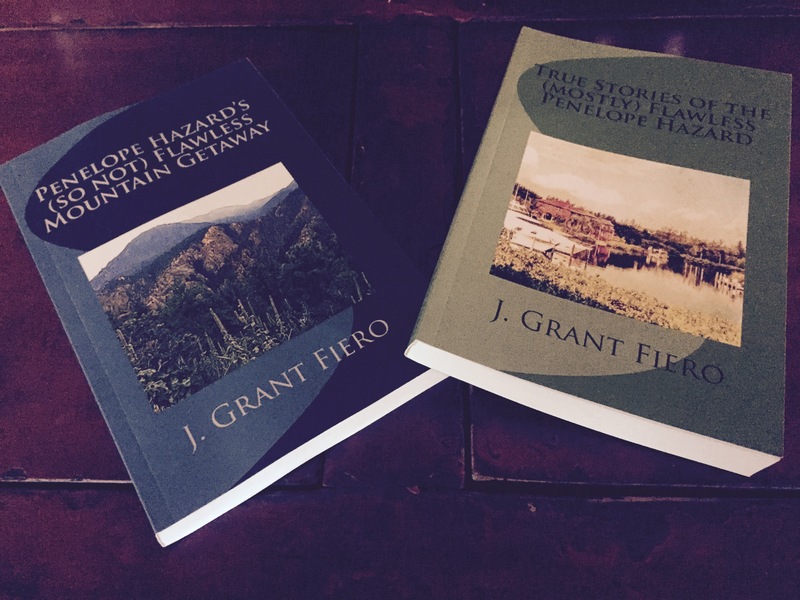 This book gives the reader a few more twists than the first novel — police corruption, illegal drug trading, and poisoning — and the setting will probably seem a little more familiar to most readers. Again, the actual mystery aspect of these books is pretty straightforward and that’s okay. 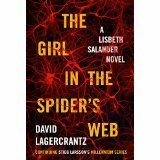 I’m just noting for those who like their mysteries a little more convoluted or twisted, these novels may not fully satisfy. But, I do think the setting and the personality of the main character, Jessie, makes up for the plot and make these books an enjoyable read for anyone. I’m looking forward to what Jessie is up to next . . .